Wedding Bands Ireland - 5 Must-See Wedding Bands with Video! It’s your day. Fill it with music that brings you joy, music that will make your ceremony powerful, memorable, and uniquely yours! In the wedding music industry we spare no effort to find the perfect tone and style for every couple. There are sometimes wedding bands so talented and with such a good stage presence that you feel like you have to recommend them over and over again. This is what this list is all about: presenting you the 5 musical groups that you MUST check out when looking for Wedding Bands Ireland. We didn’t want it to be a dry list where much is said and little is shown, so we accompanied each one of the bands with a video of one of their recent performances. If you require further information about any of them there is a myriad of videos, testimonials, setlists and prices get in touch and we will gladly look after your wedding entertainment, wedding band or wedding dj. With a soothing and expressive female vocalist, The Firm made a name for itself as one of the most passionate wedding bands in the country. It’s a five-piece all live band with no backing tracks and you should totally pay attention to them – they might be the winning choice for you. 3 charismatic lads with unbelievable talent playing everything from the newest smash hits to Rock’N’Roll. Their performances are always uplifting and we’re flooded with testimonials after each event they perform at. Watch their video to see if they are for you. 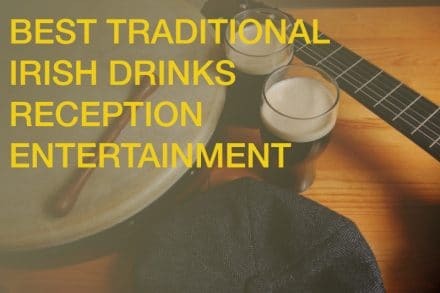 One of the most revered ceremony music groups in all of Ireland, made up entirely of gifted artists who will melt your guests’ hearts with their music! Depending on your needs and budget, the band can go from 2-piece up to 4-piece, so don’t be afraid to ask for a quote and secure the entertainment for your wedding. A mind-blowingly energic wedding band consisting in 4 guys with saxophones. This might not sound like a lot of fun… until you hear them actually play. Trust us, check out their video and you will thank yourself for doing so. As unusual a choice as they might be for a wedding band, there is a high demand for them. An all-female trad band. They’ve been in the party music industry for long enough to know how to please an audience. Perfect Friction are probably your best bet when it comes to trad music, their music is unbeatable, emotional and is hard not to fall in love with something so good. For those who already know what they want we can put them in touch with bands with setlists they would adore. From Rock to Classical to Latino, Jazz or Electronic music, we’ve got you covered. It’s important for the music played at your wedding to resonate with your personality and individual style, and if you find it hard to browse through dozens of options you would never book, let us know. Our entertainment experts can give you brilliant suggestions, saving you time and allowing you to concentrate on other aspects of planning your Big Day! Even one-in-a-lifetime (hopefully) events have to abide a set budget sometimes, and contacting band after band until eventually one fits your budget can feel like a compromise. Fortunately, we are here - and if you have a budget in mind we can come up with a list of fantastic options that are well within the range you specified for wedding bands Dublin. There are sensational Wedding Bands Ireland out there for every price point, and we will make sure to only bring the best of them to you. Wedding Bands Ireland delight your guests with their unique performance of good, live music.